Layers of Fear is my kind of horror game. There are no monsters trying to kill you or inventory to manage, just your psychotic character wandering around his house hallucinating crazy stuff. It’s basically a creepy “walking simulator”, but that’s fine by me. I’ve grown tired of survival horror (the “survival” part wears me out!) over the years, so a game like Layers of Fear that just focuses on the horror aspect is a welcome change. For the game to be so well put together overall as Layers of Fear is, well, that’s just icing on the cake. See our full Layers of Fear review for more. 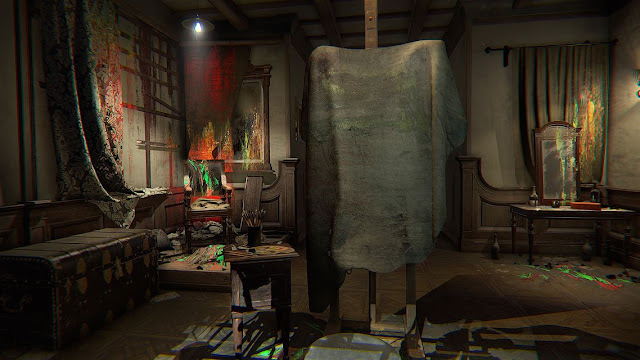 Layers of Fear has you playing as a struggling artist whose past actions have driven him mad with regret. He just wanders around his house and hallucinates while trying to complete his ultimate masterpiece. What does he regret, exactly? The past is revealed as you play through the game and saying too much, or anything really, will spoil a lot of what makes Layers of Fear so interesting. Let’s just say he was a bad, bad man, a terrible husband, and an awful father whose art was more important to him than his family. 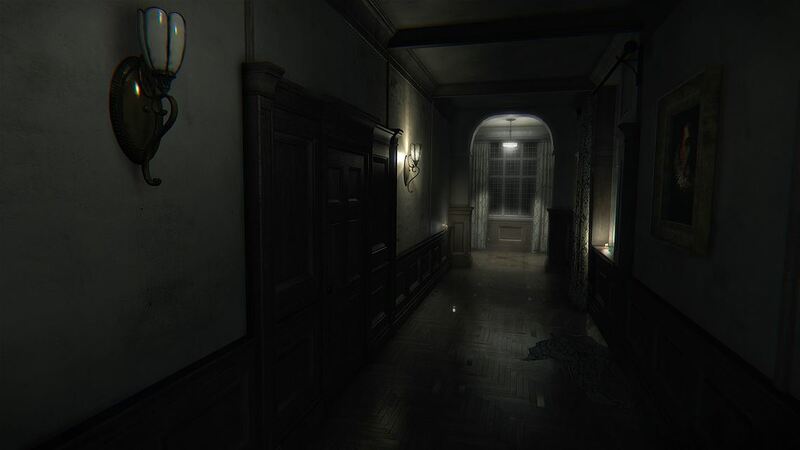 The gameplay in Layers of Fear is essentially just a first-person walking simulator. There aren’t enemies to kill or even any weapons to pick up. You’re just sort of along for the ride as the main character explores his house and remembers what a piece of crap he has been and is. 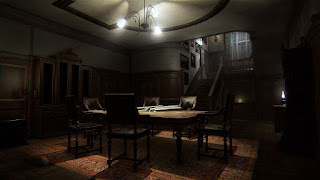 He is hallucinating pretty much nonstop, though, so as you explore the house shifts and changes and twists in increasingly dark and sinister ways right before your eyes. The horror elements come in the form of creepy imagery and sounds as well as fairly frequent jump scares. The jump scares are a little predictable, but the game will still manage to surprise you now and then. Each room you explore is a puzzle that you have to figure out how to solve in order to make progress. Since you’re hallucinating, though, nothing is ever as it seems. Rooms morph and change in front of your eyes. Hallways repeat over and over until you find the right exit. In a strange and sort of annoying gameplay feature, you can open any drawers and cabinets in the game, though 99% of them have nothing of use inside except that some rooms require you to find a key or other item before the door opens. Other rooms require you to solve puzzles by discovering a combination to a lock or finding a phone number. There is a lot of variety to the way the rooms shift as well as the puzzles the game offers, which keeps you on your toes. I do have a couple of complaints, though. First, the controls for opening drawers and doors and picking up objects are extremely finicky. You have to be in exactly the right spot for the icon to pop up, which is annoying. 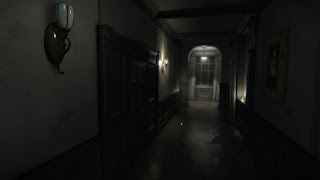 I also have to say that, despite being a horror game, Layers of Fear does a surprisingly poor job of making sure you’re actually looking at where the scary stuff is happening. You have full movement and camera control at all times and I often found myself looking through drawers or somewhere else while the scary stuff – noted by a creepy audio cue – was happening behind me or somewhere else off camera. I feel like I must have missed a good 50% of the scary moments overall. My third issue with Layers of Fear is that the game gets progressively worse the longer it goes on. It seems like the best puzzles are all in the first half of the game and the way the environment shifts and changes gets less interesting and more predictable the longer you play. It is like the developer ran out of ideas, which makes the last third or so of the game a real grind. The final big puzzle, which has you picking up pieces from a game of checkers scattered all over, is particularly awful. Layers of Fear is so good to start with and then just drags at the end. The presentation is very nice in Layers of Fear. The graphics are outstanding and the house is full of incredible detail. The sound, particularly the sound effects, is also extremely well done. Sound is always an important part of a horror experience, and Layers of Fear absolutely nails it. My one complaint with the visuals is that the game has a weird accelerated look option – you start off turning very slowly but it accelerates and gets faster as you hold the stick – that is absolutely obnoxious and basically instant motion sickness for folks that are susceptible to it. Thankfully, you can turn it off. Strangely, though, at the very end it is like the game doesn’t care that you turned the option off and brings it back in full force, perhaps as a way to amp up the psychological horror it’s throwing at your character. It just made me sick and made the ending a real chore, though. Layers of Fear is a horror game with so much potential at the beginning, but it really sort of sputters by the time you reach the end. It is still very scary and enjoyable and fun, but it could have been so much more. It only takes 4 hours or so to beat it once (there are multiple endings that change based on what you do in the game), so even if it does falter a bit in the second half it is still well worth playing. If you’re in the mood for a pure horror experience, Layers of Fear is a solid choice that we can easily recommend.